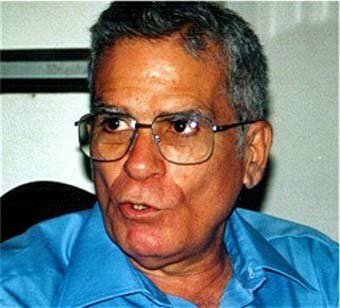 scar Espinosa ChepeOscar Espinosa Chepe worked as an economic counselor at the Cuban Embassy in Yugoslavia from 1984 to 1987 before becoming an independent journalist. As a journalist he reported on economic and political matters. His work in this field included hosting, from Cuba, a weekly news segment broadcasted by the U.S. government-funded, Miami-based radio station, Radio Martí, which broadcasts to the island. Mr. Espinosa Chepe is currently being held in Chafarina prison in Guantánamo, Cuba, after being sentenced on March 20, 2003 to serve 20 years for his non-violent activities as a government critic. 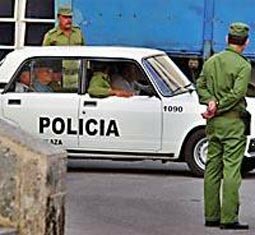 According to Cuban officials, Espinosa Chepe had carried out "activities against the integrity and sovereignty of the State" contrary to Articles 7 and 11 of Law 88 of 1992. Oscar Espinosa Chepe strenuously denies all of the charges against him and maintains that he has been imprisoned solely for expressing his non-violent beliefs and opinions. The 62-year-old dissident is reported to be suffering from a chronic kidney condition, a thoratic hernia, persistent hyper-tension, and severe weight loss among other ailments. He is not receiving adequate treatment and medication for these conditions. On April 18, his wife, Miriam Leiva, and Dr. Ileana Prieto Espinosa, Mr. Espinosa Chepe's niece who has provided medical treatment to him for years, visited the prison and reported that he was experiencing acute symptoms of liver failure. The conditions in which Mr.Espinosa Chepe is being held are reported to be substandard. He is reported to be sharing a small, dimly lit and poorly ventilated cell with three other prisoners and although he has been given medicine for his high blood pressure, he has repeatedly been denied treatment for his other ailments and the medication that his wife has been bringing him has not been delivered. His health has deteriorated seriously since his imprisonment. 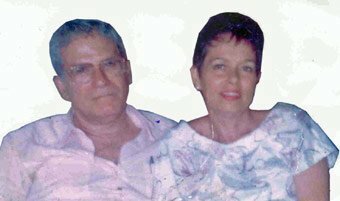 On June 5, 2003, Human Rights First urged the Cuban authorities to order the release of Oscar Espinosa Chepe and all other individuals who were arrested and convicted on the basis of their peaceful political activities and their efforts to promote and protect basic human rights in Cuba. Human Rights First also called on the Cuban authorities to ensure that while Mr. Espinosa Chepe is in detention he is provided with appropriate medical treatment immediately and that his conditions in detention meet international standards.